K-State was quite fortunate this past month to host lectures from two major social activists: Martin Luther King III and Kareem Abdul-Jabbar. It has been fifty years since Dr. Martin Luther King Jr. spoke at Kansas State University, the last university he would be able to visit. Dr. King advocated for nonviolent approaches to social injustice in his presentation to over 7000 people sitting in Ahearn Fieldhouse. 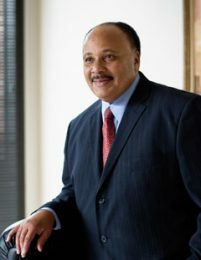 To honor the 50th anniversary of his lecture at K-State, Dr. King’s eldest son, Martin Luther King III, spoke to over 600 K-State students, administration, and community members in the K-State Student Union on Thursday, January 25th. MLK III talked about honoring his father’s legacy and the importance of continuing his efforts. He touched on the idea that Americans need to become better listeners, while not being afraid to speak up for what they believe in. “It’s about hating the evil deed, but refusing to hate the evildoer,” King III added. Following the lecture, those attending were invited to a candlelight vigil and laying of wreaths near the bust of Dr. Martin Luther King, Jr. near Ahearn Fieldhouse, presented by the Kappa Tau chapter of Alpha Phi Alpha Fraternity. 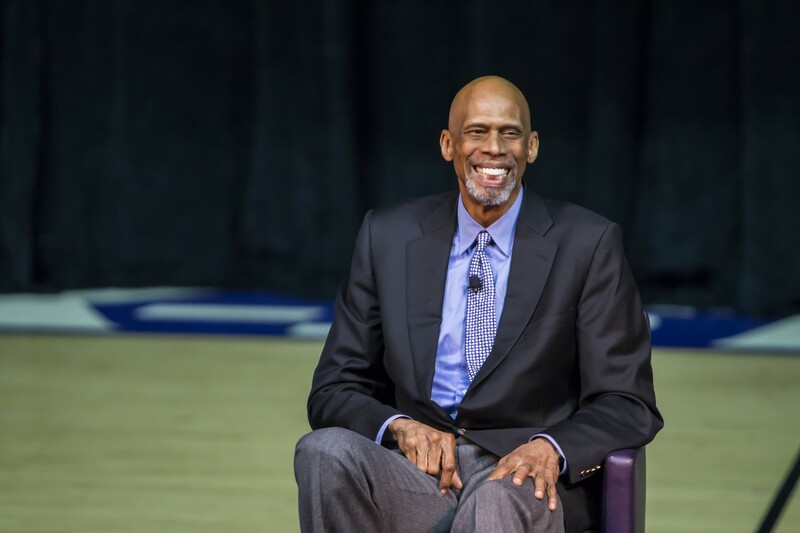 Following MLK Observance Week, K-State’s Black Student Union, Student Governing Association, Union Program Council, and Athletics Department welcomed Kareem Abdul-Jabbar to Manhattan in celebration of Black History Month. The lecture, in a Q&A format, addressed many social issues such as how students can promote change and action, controversy with activist athletes, and ways to keep improving throughout America. Content written by PFA Intern Sadie Polson.